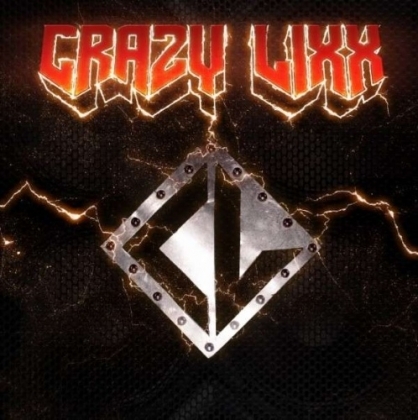 Formed in Malmoe in 2002, CRAZY LIXX has almost survived intact since then, with a line-up of Danny Rexon, vocals, Andy “Zäta” Dawson and Edd Liam, guitars, Jens Sjöholm, bass and Joel Cirera, drums. Nice mix of stage names and not. This is their fourth album since 2007, and with “Riot Avenue” in fresh memory I have quite high expectations! Nothing´s changed, isn´t that the concept of some of the world´s greatest bands? CRAZY LIXX embraces that concept too and I really love their unashamed 80´s worshipping. They do strike me as possible heirs to the quite similar NASTY IDOLS. The catchy opener “Hell raising Women”, the sheer fist pounding of “Sound of the Loud Minority”, their KILLER DWARFS impersonation in “Girls of the 80´s”, their mid-pace slightly COVERDALE-ian potential hit “I Missed the Mark” or their take on DANGEROUS TOYS in “Ain´t No Rest in Rock´n´Roll”. I could list more anthems - all of them rather happy-go-lucky, heedless and hedonistic. But that is really what it all comes down to in this business, right!? I better mention “Heroes Are Forever” as it is CRAZY LIXX own “Shot in the Dark”. Nuff said. Get this for all your wasted nights and headbanging purposes.